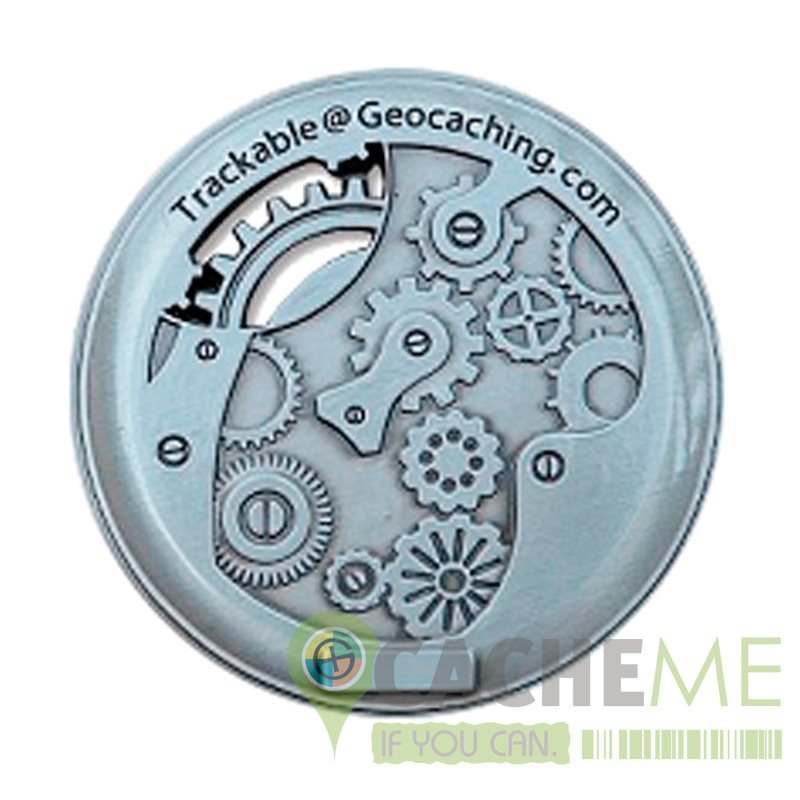 This 2 Inch Geocoin is adorned with our GeoPunk Robot on the front and the gears that make him work for the back. This is a must have for any Collector. 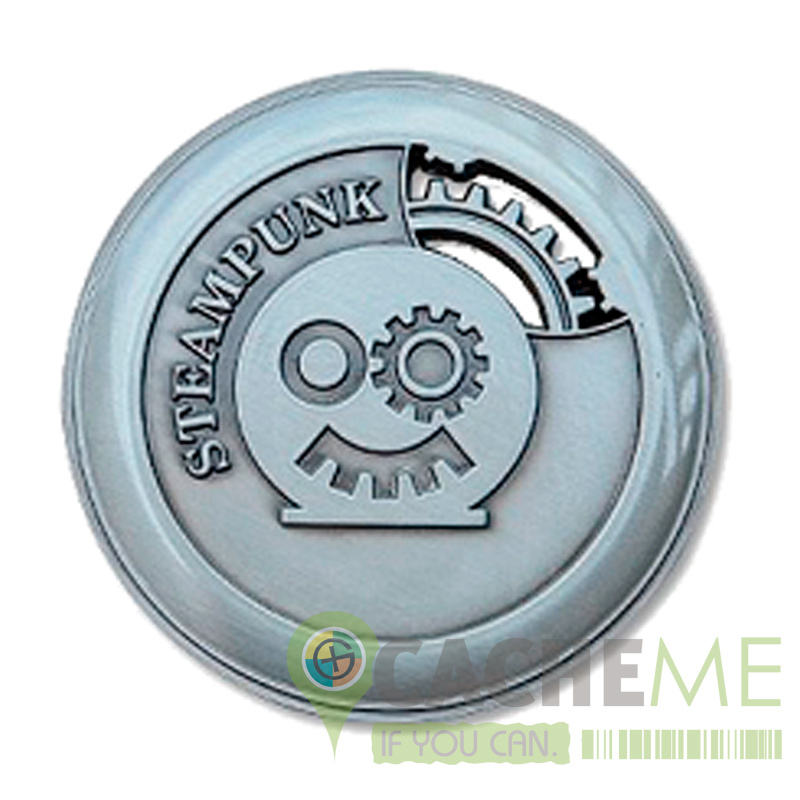 Finished with Antique Copper, this coin with its cutout design will be something everyone will want to have.